Guests have always found it difficult to maneuver from the theme parks to Disney Springs. It has always required a transfer at one of the nearest resorts, then a bus to Disney Springs, but a change will improve the trip, one way at least. Beginning August 28, 2016 Guests will be able to take a direct bus from a theme park to Disney Springs from 4:00pm to 11:00pm or 2 hours after a park closes, whichever occurs first. However, the return trip from Disney Springs to a theme park would still require a transfer at a resort. 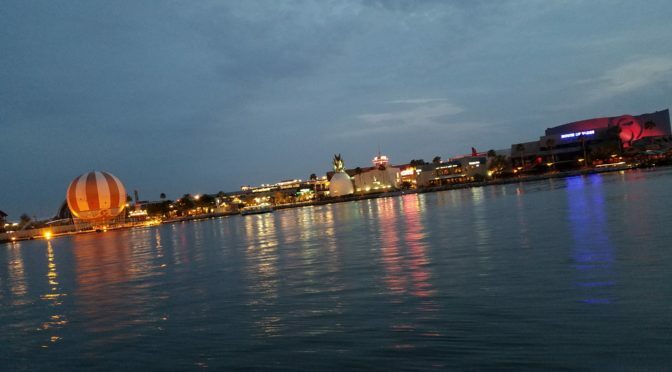 If you plan to spend an evening at Disney Springs, you could take a direct bus from a park, spend some time shopping and dining, then take a direct bus to your resort. I would expect a bus to arrive at the theme parks for pick up every 10 to 20 minutes. For information on which bus stop number to use, consult the Transportation board at the theme park you are visiting or as a Transportation Cast Member for help. Previous PostHow to Maximize Your Epcot Characters Experience in Under 2 HoursNext PostMickey’s Not So Scary Halloween Party planning webinar coming soon! This should relieve the crowds using SSS as a gate way to DS. I was hoping the change would offer a trip to the parks directly from DS. We have a couple of water park days planned where we’re going to a park afterwards. My understanding is that currently the only way to get to/from a water park is to go to DS first and transfer. If this is the case, to get from a WP to a park will require 3 buses. Too bad! Please let me know if the information I have is incorrect! We stay at ASSports mostly. From our resort you can grab a bus to either water park. When done you can grab a bus back to resort if you wish and then a bus to which ever park you want. So that would be one transfer to go from WP to Theme park. One trick is…. if you don’t need to go back to YOUR resort to change or anything and want to go from water park to theme park… pick the closest resort to the water park and grab a bus to there and then transfer to theme park bus. Haven’t heard anything earth shattering at this point. Very happy for this change. Do wish it started a little earlier in the day due to us leaving HS to go to DS for lunch one day of trip. Will the bus go directly to DS or stop a multiple theme parks to pick up people? Is this going to work with the waterparks as well?